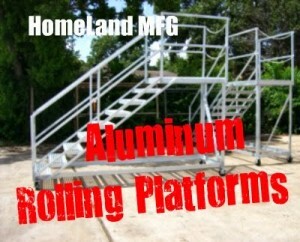 Aluminum Work Platform for Industry. We offer an ALUMINUM Work Platform as a lighter weight, corrosion resistant version of our popular Commercial Steel Platforms. We can builder them with larger top platforms too. 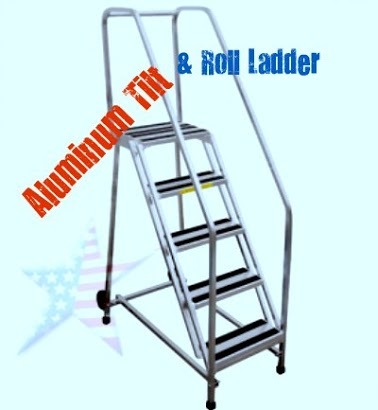 ALUMINUM ROLLING LADDERS are the lightweight version of our TILT & ROLL LADDER. 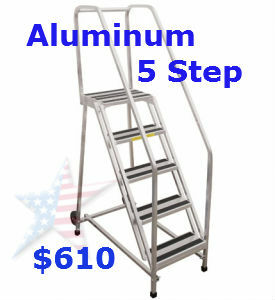 Aluminum is light weight & corrosion resistance and these ladders are used in adverse conditions. 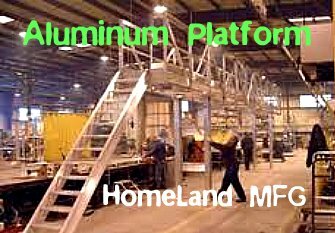 Aluminum Platforms are used in clean environments. The grip tape treads are standard. We can also design them with serrated treads for an even a safer non-slip surface. 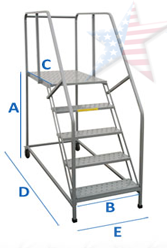 STAINLESS STEEL LADDERS are available in a variety of styles. They are often preferred over a standard steel Rolling Ladder because of the characteristics of stainless steel. These STAINLESS STEEL SAFETY LADDERS are ideal for corrosive environments, wash down areas and food preparation. 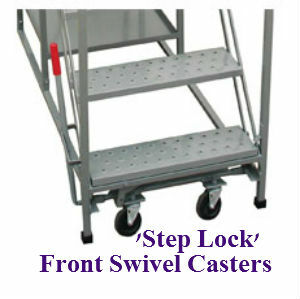 Our stainless steel is T304 stainless and welded and the rolling casters are a poly material. 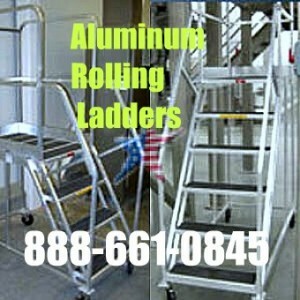 Our stainless steel rolling ladders are OSHA Safety Compliant too. 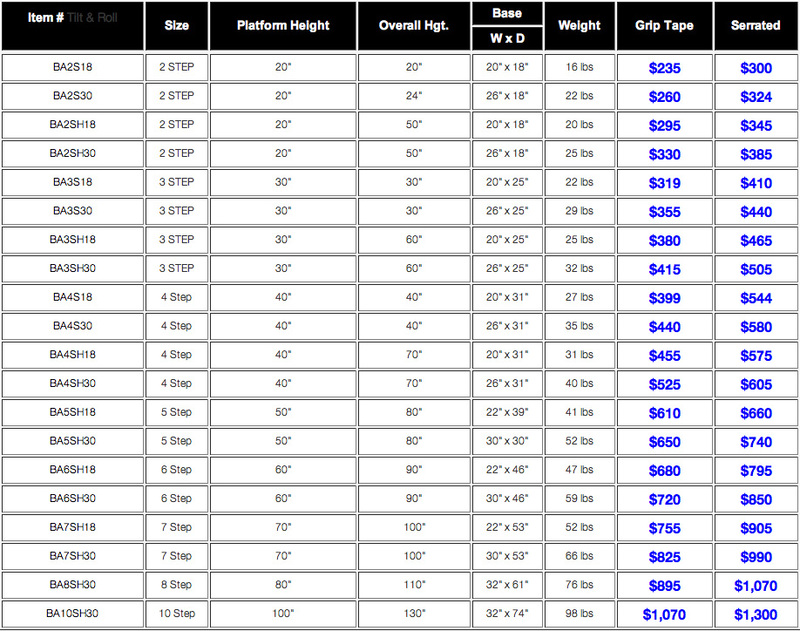 Deeper top platforms, wider steps, heavier capacities, and your design is also available for quotes. 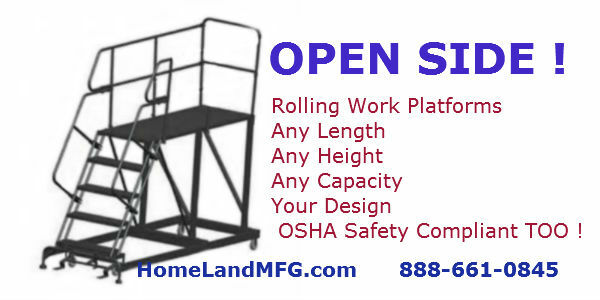 We build stainless steel work platforms too from your concept or drawing.